When we set out to make our homes look stylish and beautiful, we pay attention to a lot of aspects. We look at what colours we want to paint our walls, what types of windows would look good in each room, what furniture to buy and what kind of linen and draperies to use. However, amidst all this there is one aspect that we tend to neglect – the humble door. After all, the door is the entrance and exit of the house and, ideally, should be the first thing we need to think about. Whenever anyone comes to visit you, the first part of your house that they will see is the door. Yet, this one humble piece of wood is sadly ignored. Not anymore, though. More and more people are paying attention to how the entrance to their house and the various rooms looks like. One pertinent aspect that comes to one mind is how reliable and safe the doors in their homes are. As a result, they are going out to find what kind of doors can last long, are resistant to effects of weather and climate and look good for a long time. This is where membrane doors come in and therefore you can find plenty of membrane doors suppliers available in the market. What is a Membrane Door? So your first question may be – what is a membrane door? 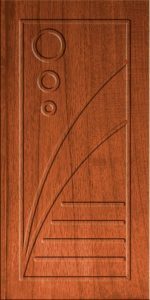 Well the answer is that a membrane door is a type of door that is manufactured by combining HDF doors with solid doors. HDF stands for high density fibre. This fibre is made from recycled wood and is environmentally friendly. 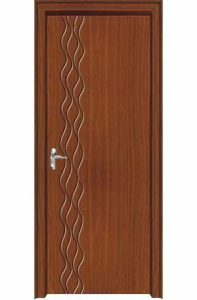 These doors are also supposed to be more durable and stable than ordinary wood doors. HDF is high moisture Resistant and Termite and boarer resistant and have a five year replacement warranty. Membrane doors are a combination of the two types of doors described above but they go one step further. These doors are overlaid with a polyvinyl chloride membrane. The membrane ensures that the doors don’t shrink, swell, crack or separate at the joints. If you’re not sure about exactly what a membrane door is, connect with a membrane doors supplier.